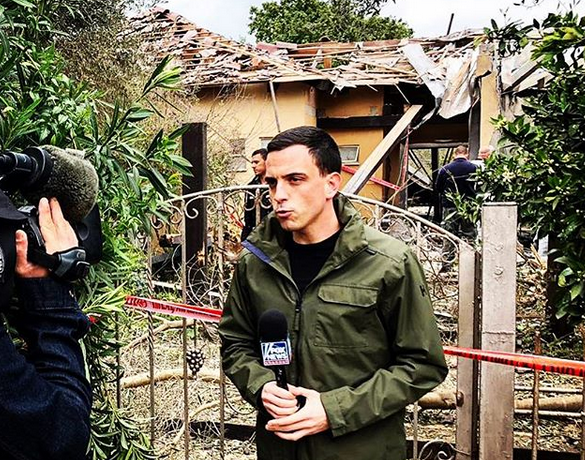 Fox News foreign correspondent Trey Yingst managed to make it into Gaza City earlier today. That’s no easy feat, considering the border will be shut down for the rest of the weekend, as he mentioned below. Yingst also reports that Egyptian negotiators have supposedly left the Gaza Strip after working with Hamas and Israel to de-escalate tensions. Here he is this morning at around the time he did a live hit for America’s Newsroom. We made it into Gaza City. The Israelis say the border will be closed until at least Sunday, so I’ll be here for the coming days. This photo is at the site of an Israeli airstrike earlier this week. Just minutes ago, a drone struck militants nearby as ceasefire talks continue. Israeli tanks and troops are on standby along Gaza and PM Netanyahu says they are preparing for the potential of a wide-scale conflict. Yingst has received praise for his reporting the last couple of years, first as a White House correspondent for One America News Network, and now as a Fox News foreign correspondent based in Jerusalem. Yingst has consistently filed reports across the Fox News programming slate since arriving at the network last August. In February, he was actually forced by IDF troops to leave his position on the Gaza border right while he was doing a live hit for America’s Newsroom. Rioters were apparently tossing grenades and IEDs in his and the crew’s direction. In a story he wrote yesterday published on FoxNews.com, Yingst said his most active live hit has occurred during Shepard Smith Reporting. Before the hit, mortars and anti-tank missiles were fired next to our position. Moments after I wrapped my first hit with Shep, another barrage of rockets was fired from Gaza into Israel.